This post was written in April of 2017 when I was pregnant with my daughter, Graci. 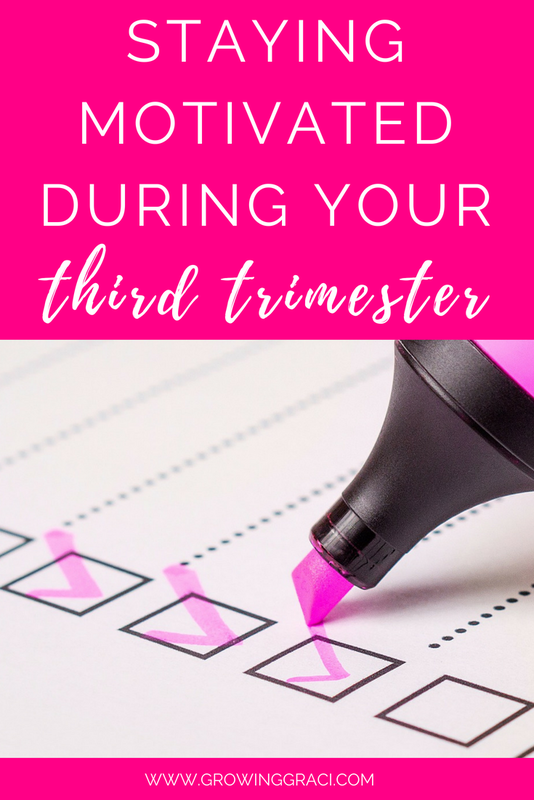 We hope that you enjoy these tips to stay motivated in the third trimester of pregnancy, and be sure to let us know what you think in the comments below. Anyway, since I’ve been in the third trimester, I’ve noticed a distinct uptick in my fatigue level. I’m not just sleepy and tired, I’m exhausted. Seriously. After even a few minutes of activity, I want to nap. And that makes getting anything done more difficult. 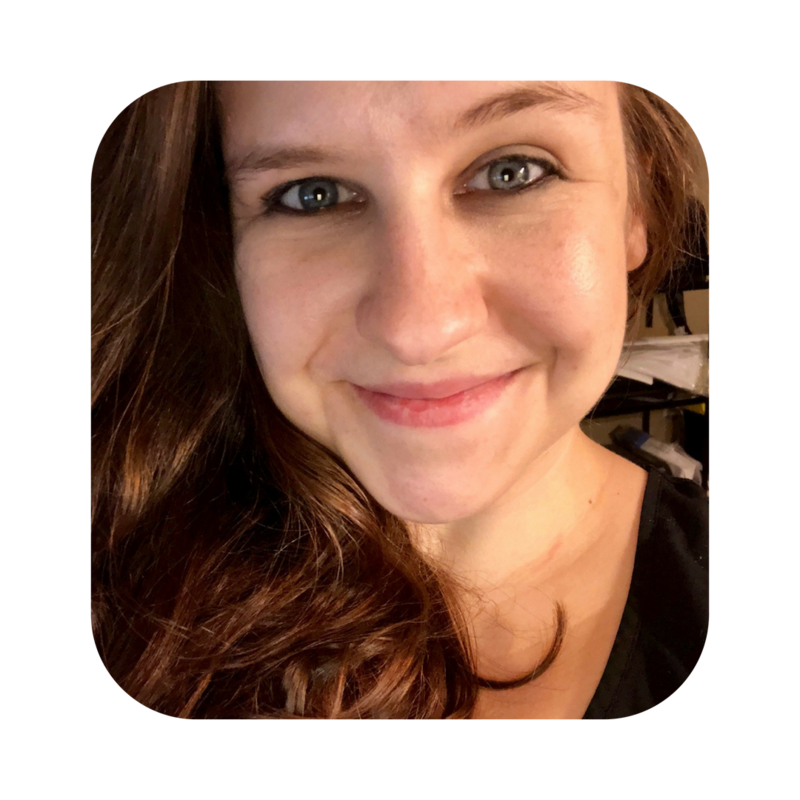 Below, I’ve come up with a list of my tips and tricks that I’ve come up with to keep me motivated to get things done even when I’d rather curl up in a ball and sleep! If you’re like me, I could quickly come up with a million things I could do. The list of to-dos is long! So instead of getting overwhelmed and stressed, I’ve been opening up the List/Reminder app on my iPhone and making categorized lists. I love this simple app because I can check things off as I do them and they disappear. But, if I’m having a moment where I feel like I haven’t accomplished anything, I can click the “Show Completed” button at the bottom and be reminded of all the tasks that I’ve finished. Making list will keep you focused. Try making a separate list for each day with the tasks that you realistically want or need to accomplish that day and stay focused on those tasks throughout the day. Believe me, checking things off will help keep you motivated when you’d rather be asleep. Recently, we moved to Las Vegas, Nevada from Seattle, Washington. (Read more about that here.) Well, our new home has two levels. While I’m loving the new amount of living space, doing chores takes a bit of planning. If I am doing laundry downstairs, I’ll bring my computer down and do chores or tasks on my computer while the laundry gets washed and dried. I try to lump my tasks close together in the house to limit the running around. However, this doesn’t just pertain to the house. If you have to run errands, try to lump stores together or wait to run a particular errand until you can accomplish more on the same outing. If you are like me, pregnancy has come with a fair amount of pain. As such, doing a lot of chores around the house exacerbate that pain beyond belief. So, on my particularly bad days, I try to find a way to do tasks around the house in a way that doesn’t hurt. When I have to fold clothes, I do them sitting on my bed. When I have to answer emails or other online-tasks, I move my computer from the office to the couch. If I have to organize something around the house, I try to do it from a sitting position. When you’re pregnant, no one expects you to be able to get as much done. Expect for you. I’ve had to realize that I can be as productive as possible, but my body will still need more rest than it did before. So, I try to do as much as I can, then I give myself a reward by taking a nap, or relaxing on the couch watching a show. Plus, if you make sure to take care of yourself and relax throughout the day, you’re going to be more productive in the long-run because you won’t have completely depleted your body by going all out in a single day. For me, I’m most productive in the morning after my body has rested. I feel less sore and have less pain. So, I try to take advantage of this feeling and get as much done in the morning as possible. That way, when I feel like I need a nap in the afternoon, I don’t feel so bad! 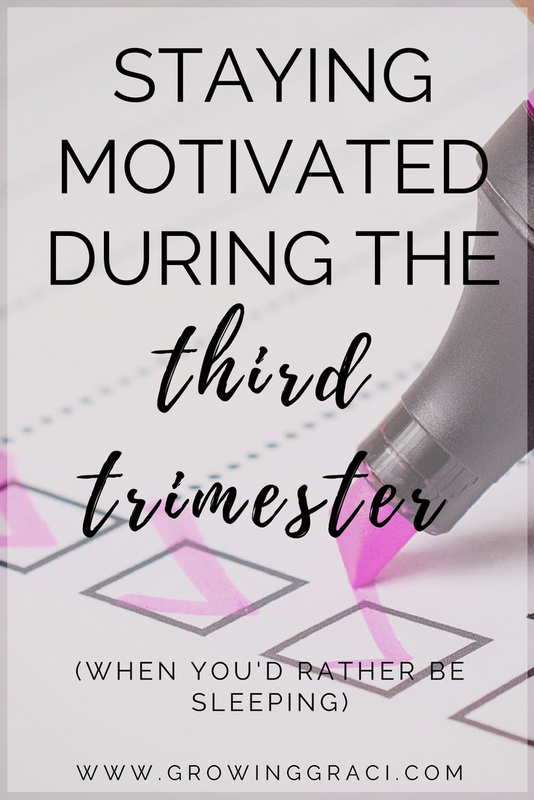 When you were pregnant, what were your best tricks for getting things done when you were exhausted? I’d love to hear from you below!